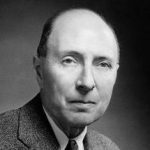 The significance and implications of a recent extension of Wigner’s friend thought experiment has been discussed and debated. The main aim of this online workshop is to help settle the controversial issues related to the suggested experiment. Advisory Board: Lajos Diósi, Arthur Fine, Gordon N. Fleming, Olival Freire Jr., Sheldon Goldstein, Robert B. Griffiths, Hans Halvorson, Richard A. Healey, Basil J. Hiley, Don Howard, Peter J. Lewis, Roger Penrose, and Maximilian Schlosshauer. Based on the successful previous workshops, this online workshop will be more self-organized. Every participant, after logging in, may create a topic in the workshop forum on his own, which gives a concise introduction to his ideas to be discussed. Then other participants can leave comments and participate in the discussions by text chat in the forum. All IJQF members are welcome. This topic contains 0 replies, has 1 voice, and was last updated by editor 5 months, 1 week ago. In this paper, I argue that the combination of a unitary quantum theory and special relativity may lead to a contradiction when considering the probability distribution of certain measurement results in different Lorentz frames in a Gedankenexperiment. This result seems to imply that either unitary quantum theories are wrong or if a unitary quantum theory is right then there must exist a preferred Lorentz frame. I wish to thank Dennis Dieks, Aurelien Drezet, Jerry Finkelstein, Nicolas Gisin, Richard Healey, Dustin Lazarovici, Gijs Leegwater, Tim Maudlin, Travis Norsen, Elias Okon, Matt Pusey, Cristi Stoica, and Lev Vaidman for helpful discussion.